Since my first Flow Chart Display at the Clemens Mill branch of the Idea Exchange has been hanging on the wall for a couple months now, I thought it was about time to design a new one. Patrons stand in front of the wall, and answer a series of bright (and sometimes sassy!) questions about themselves / their reading preferences. At the end of the flow chart they reach into their resulting envelope and pull out a booklist that suits their tastes. Last time I did 16 different genres of YA books. This time I did 8 different types of books: anything but the typical fiction novel. This type of interactive readers’ advisory display challenges patrons to think critically about why they like what they like. It also challenges them to expand their perception of what constitutes reading for pleasure – some patrons will end up trying a format they’ve never heard of before (playaways), a format they’ve previously held a stigma against (graphic novels or picture books), a format they totally forgot about (Choose Your Own Adventure novels) or a format they didn’t think could be enjoyable (non-fiction). My job is to get people excited about reading, and I think introducing them to surprising formats is an effective approach. Especially if they made a series of decisions on their own that resulted in that surprise. The back of each booklist provides a link to our online personalized book suggestions form, which patrons can fill out to receive a personalized list of suggestions. Want to put it up at your library? Go for it! I’ve uploaded all the resources needed below. Just make sure you send me pictures, and give me credit. 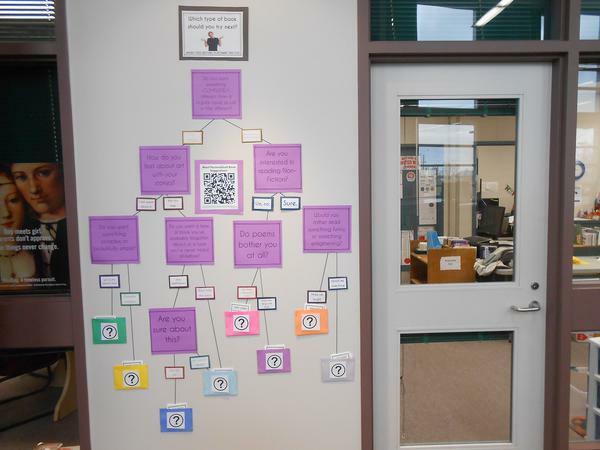 Check out my other flow chart displays: Meet Your Next Literary BFF and YA Novels. 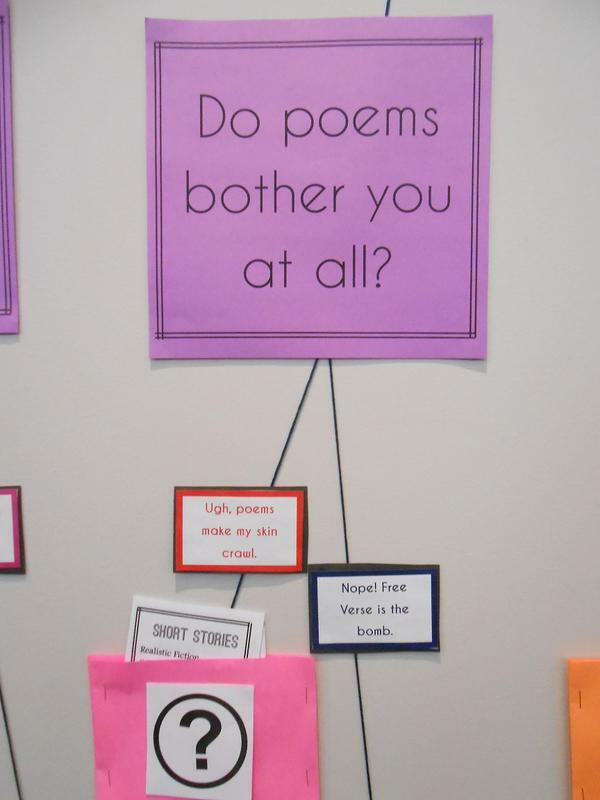 What interactive reader’s advisory displays have you tried at your library?